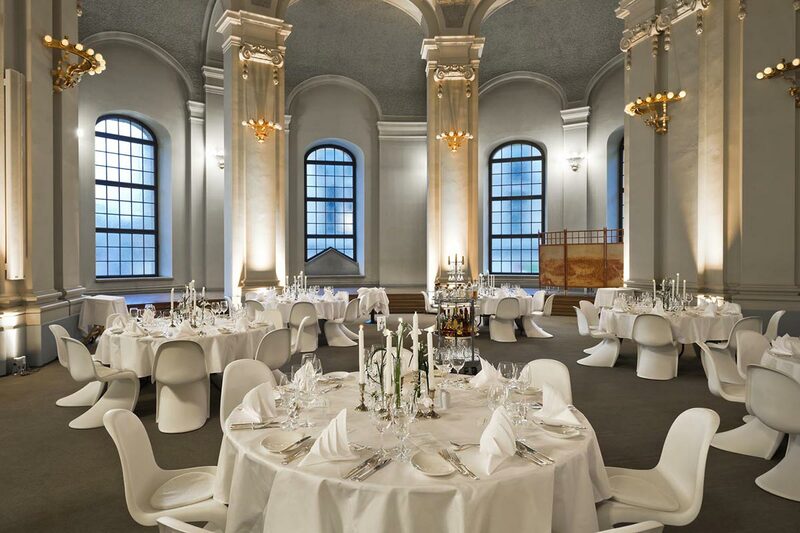 Französische Friedrichstadtkirche is a church and event venue for 500 people and is located on Berlin's famous Gendarmenmarkt. 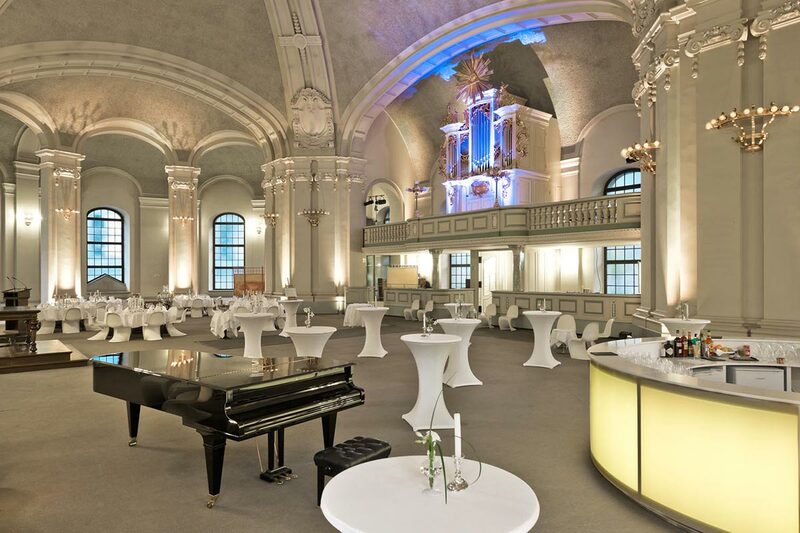 The building is adjoined to the spectacular French Cathedral, and graces Berlin's most beautiful city square with two other buildings: the German Church and Schauspielhaus. 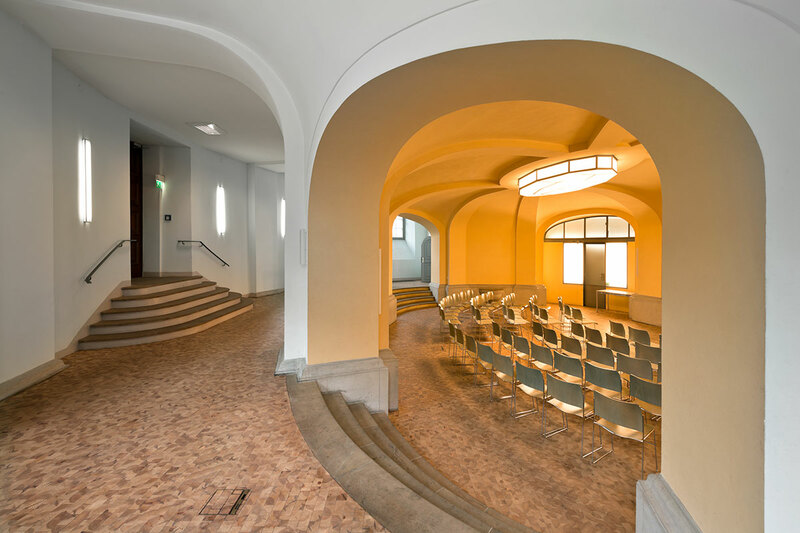 What has long since been a popular venue for classical concerts is now also accessible for other events: conferences and conventions, prize-givings, symposia, galas and events. 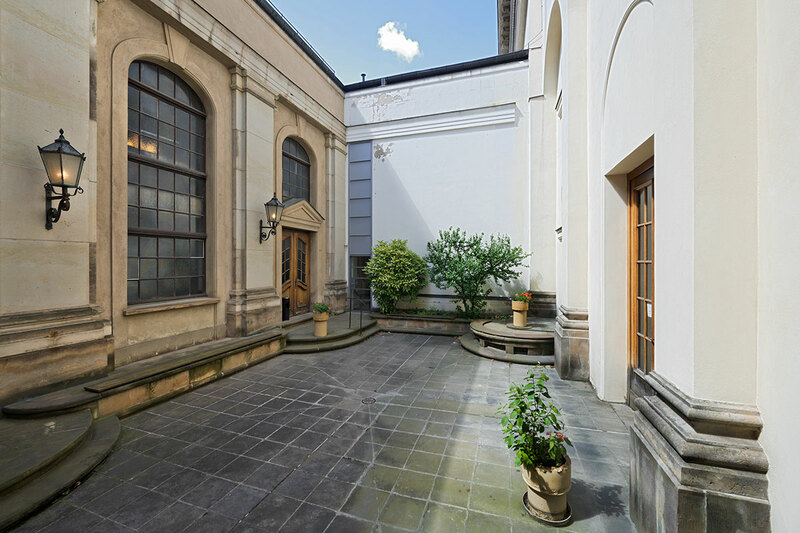 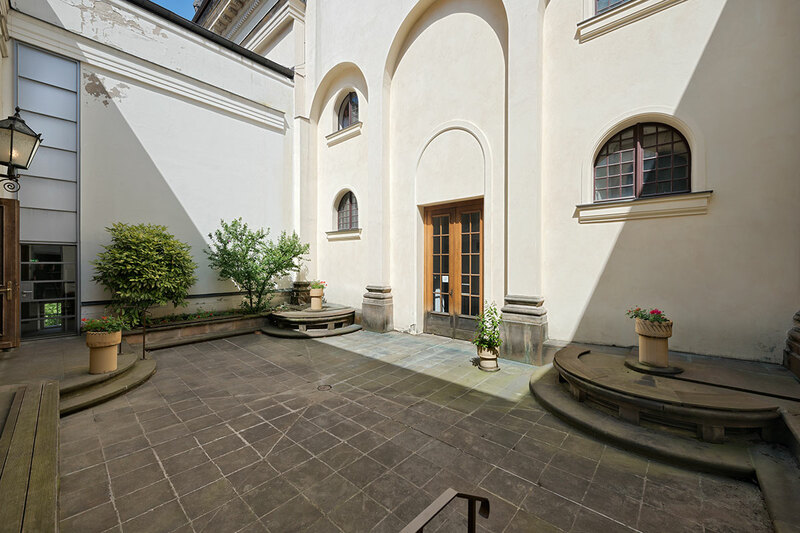 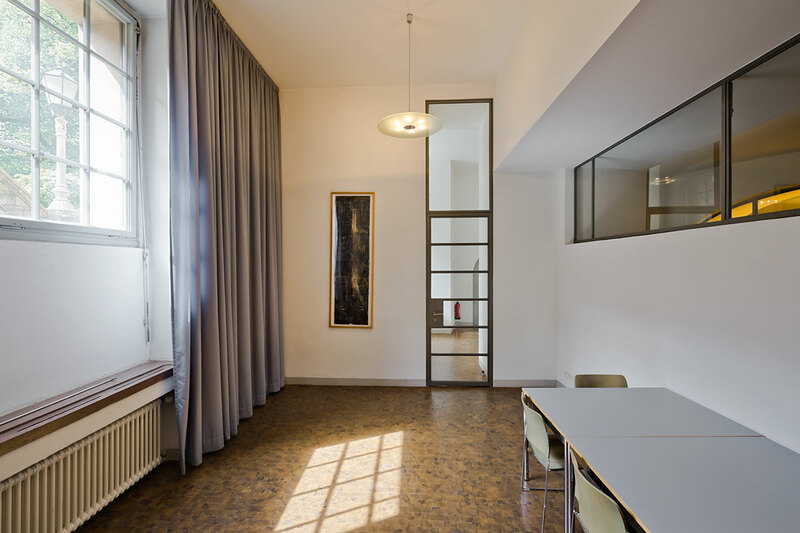 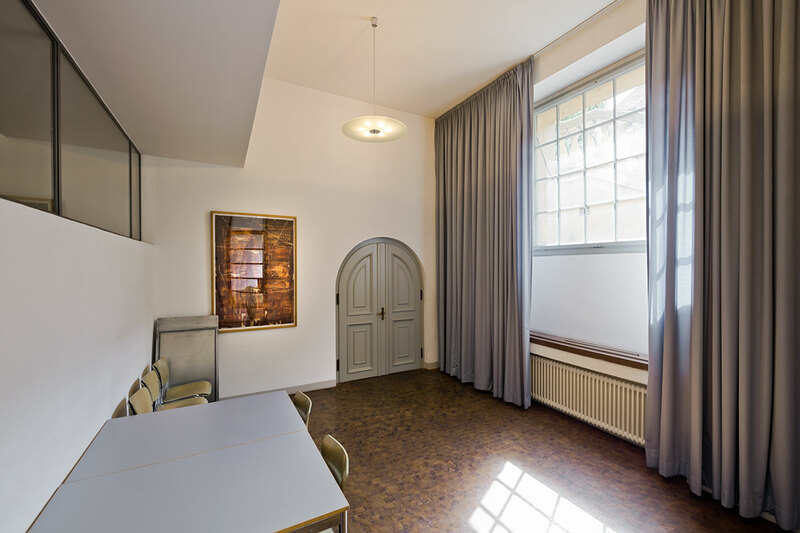 The 1.000 m² of floor space covers the church hall, Casalis-Saal, two side rooms (ideal for a backstage area during conventions or as dressing rooms) and a small inner courtyard. 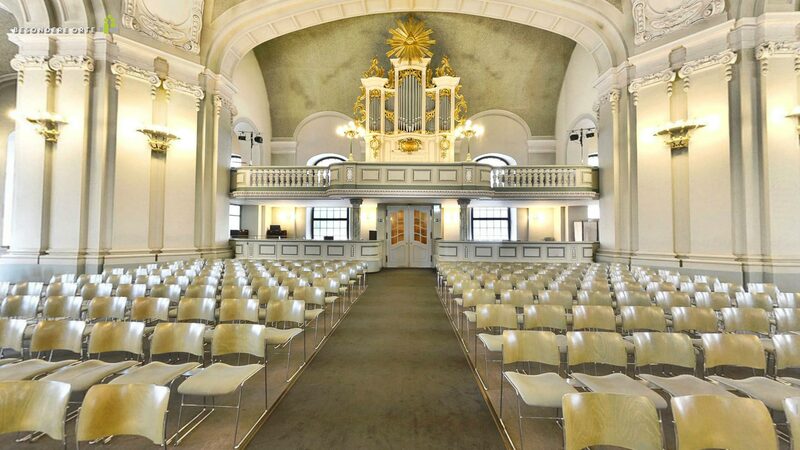 With this combination of spaces, Friedrichstadtkirche is just as suitable for conventions as it is for concerts. 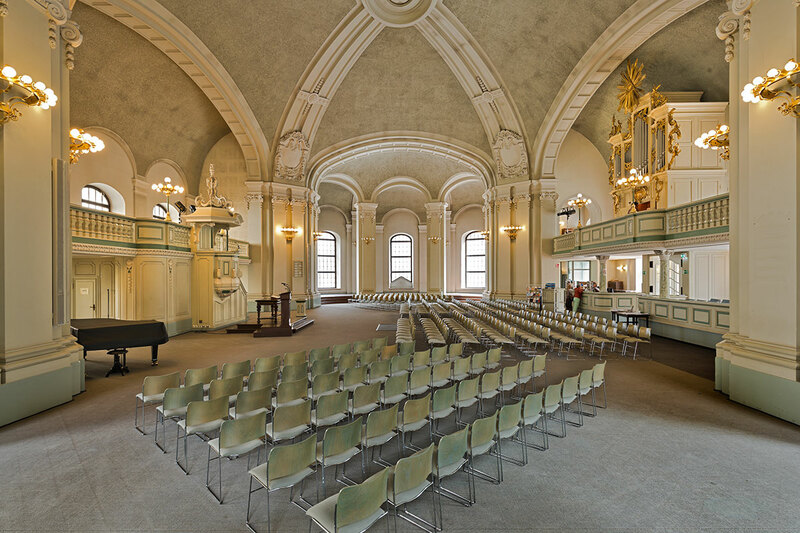 The church hall is truly awe-inspiring with a gallery, side lofts and a working organ loft and Eule pipe organ. 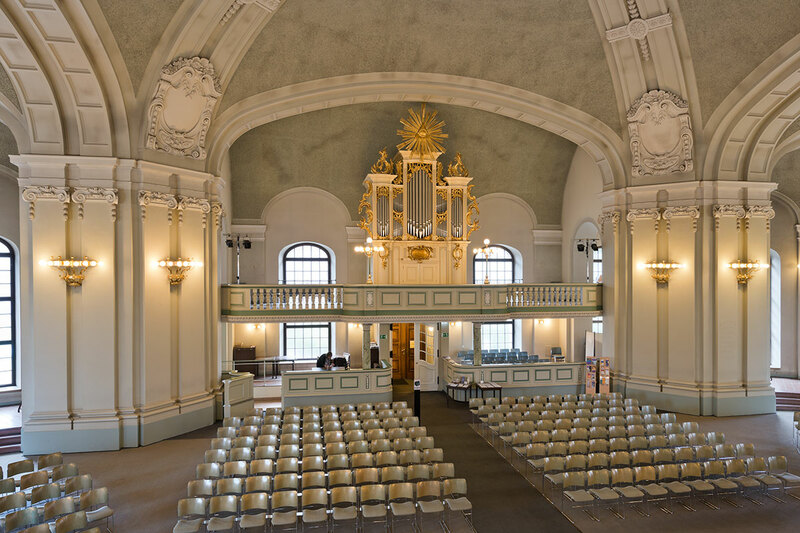 The interior of the church has a stunning simplicity while the Eule pipe organ provides a sumptuous presence with its magnificent golden eureole. 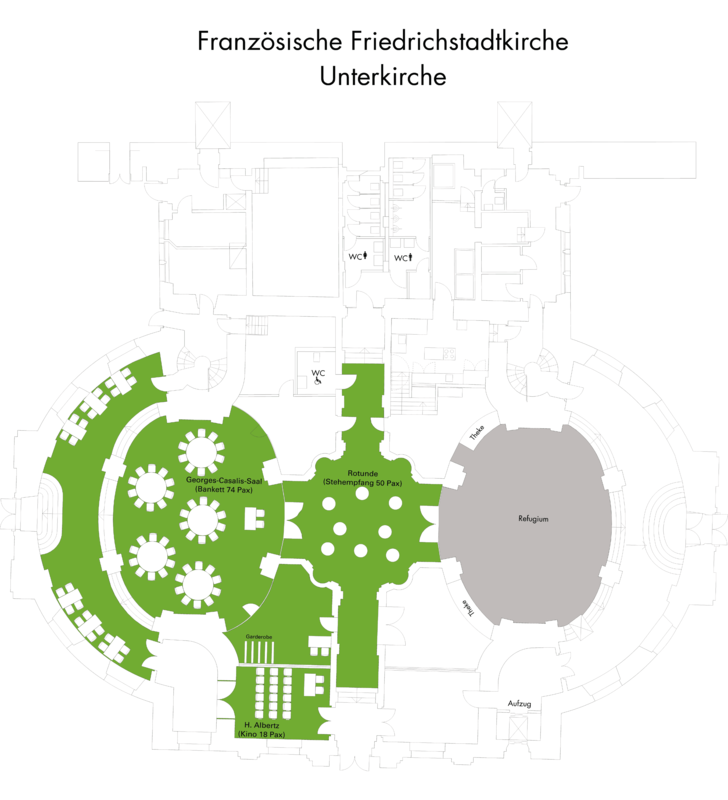 The hall is over 700m² and more than 200 metres high. 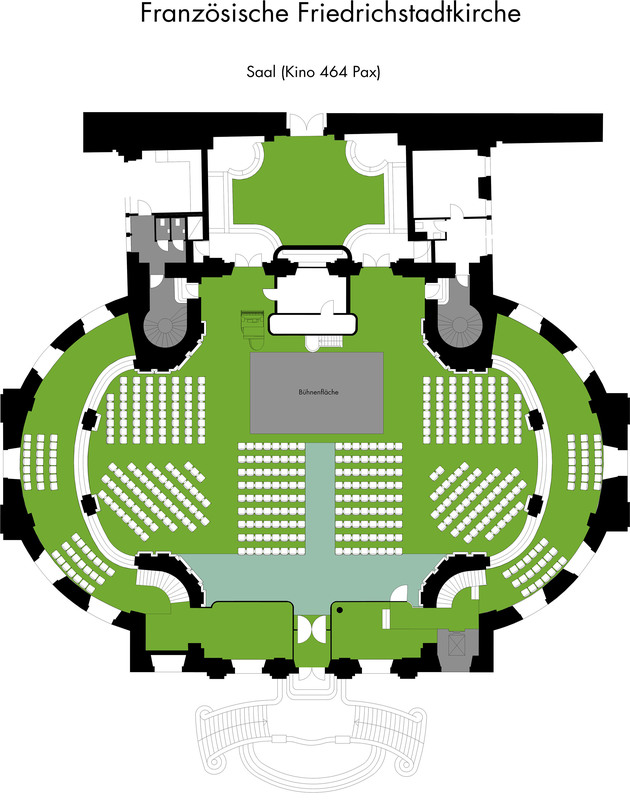 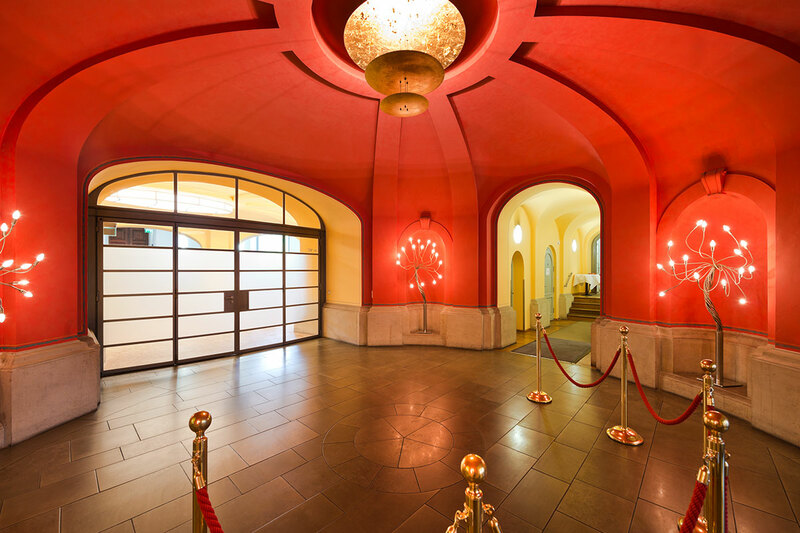 In the inner area of the hall, congress seating can be arranged for 480 people, while the side lofts provide room for catering or exhibiton spaces. 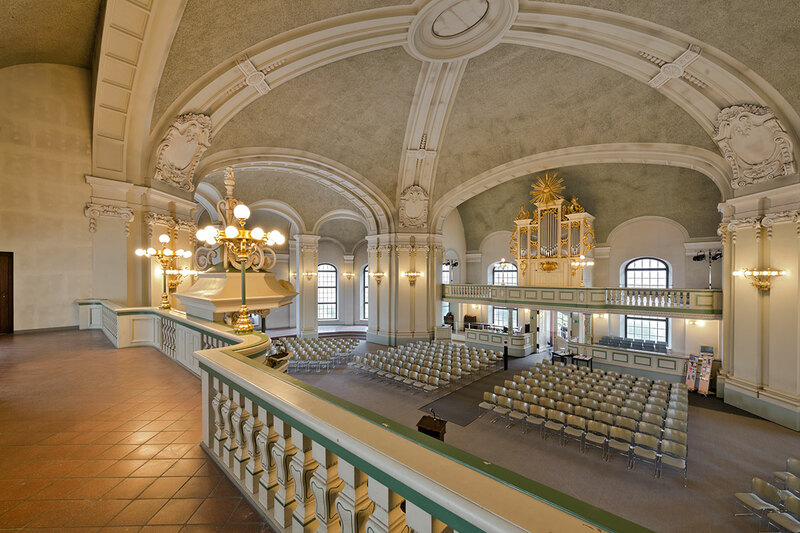 In a standing reception format the space comfortably holds 500 people. 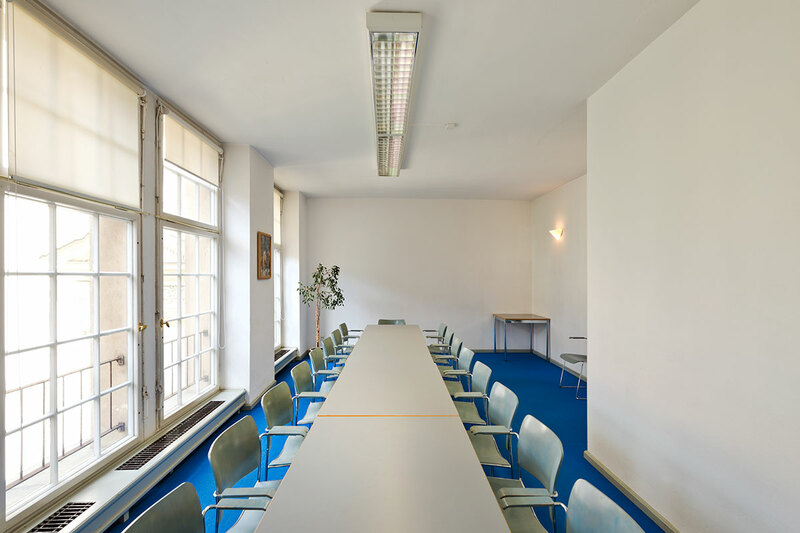 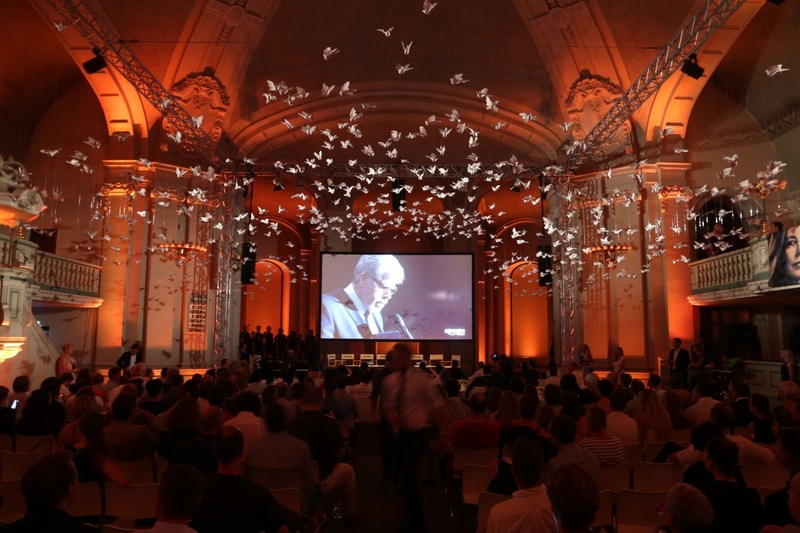 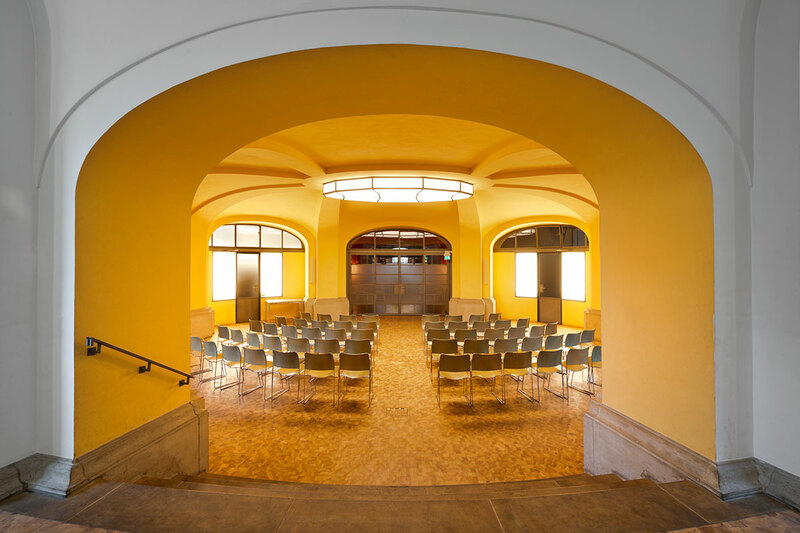 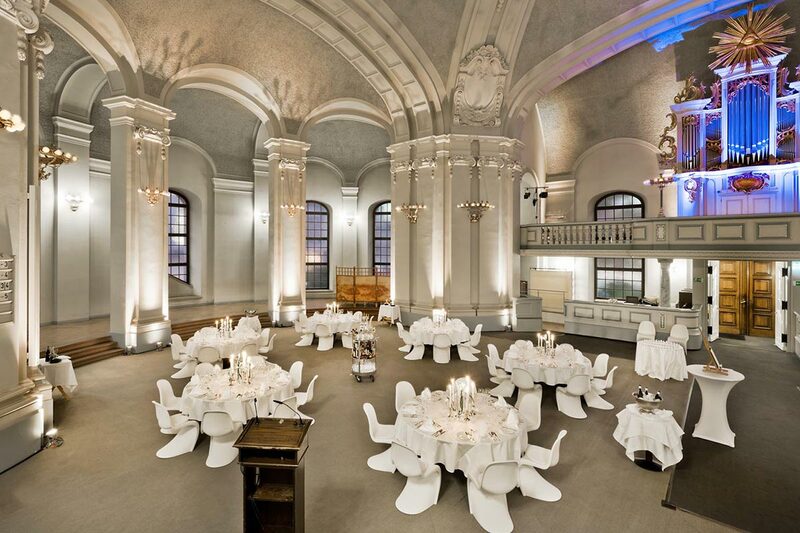 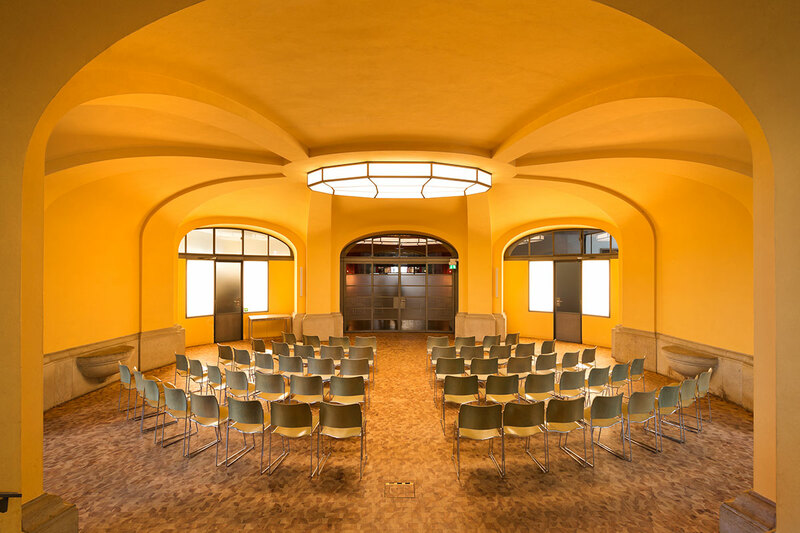 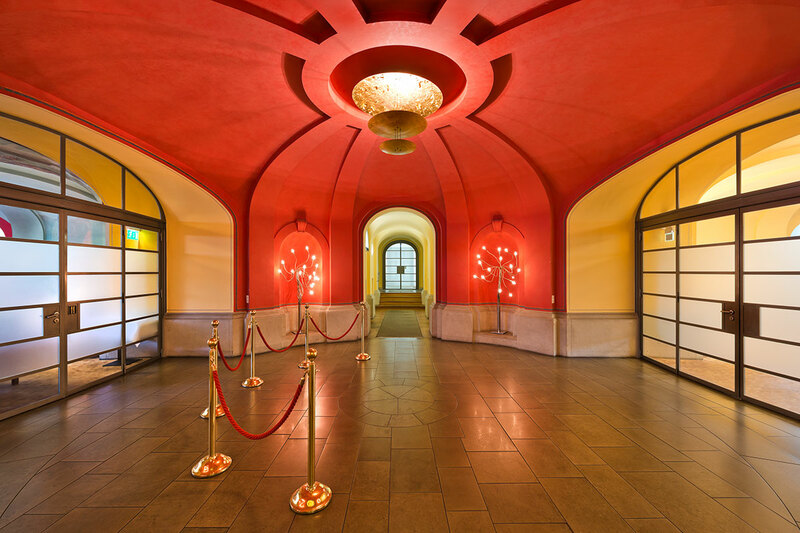 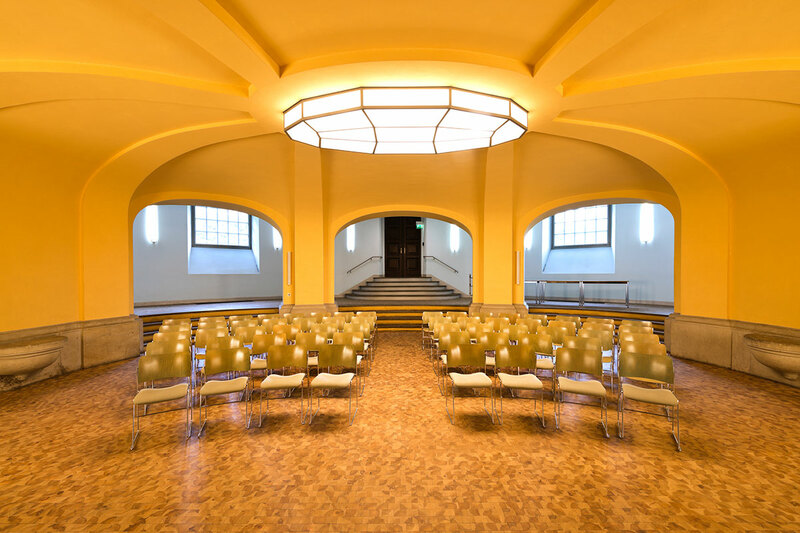 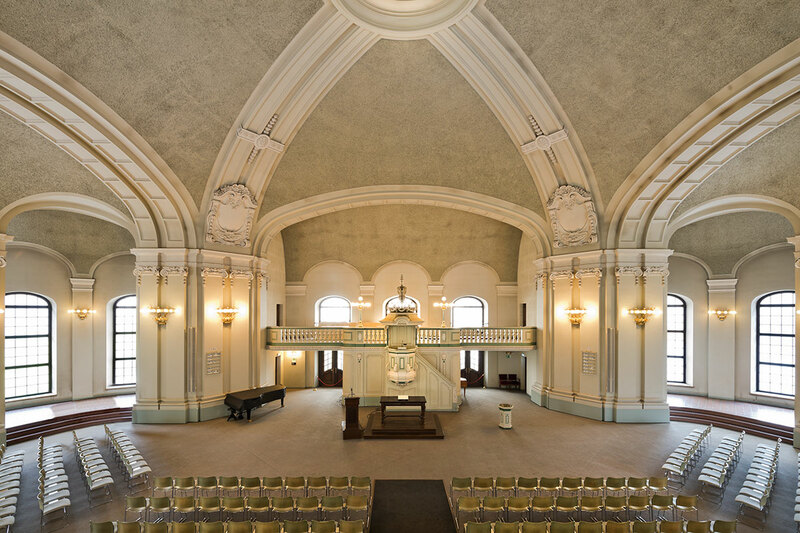 Two further rooms at Französischen Friedrichstadtkirche – the Madeleine Barot room and the Heinrich Albertz room – perfectly round off this excellent event venue. 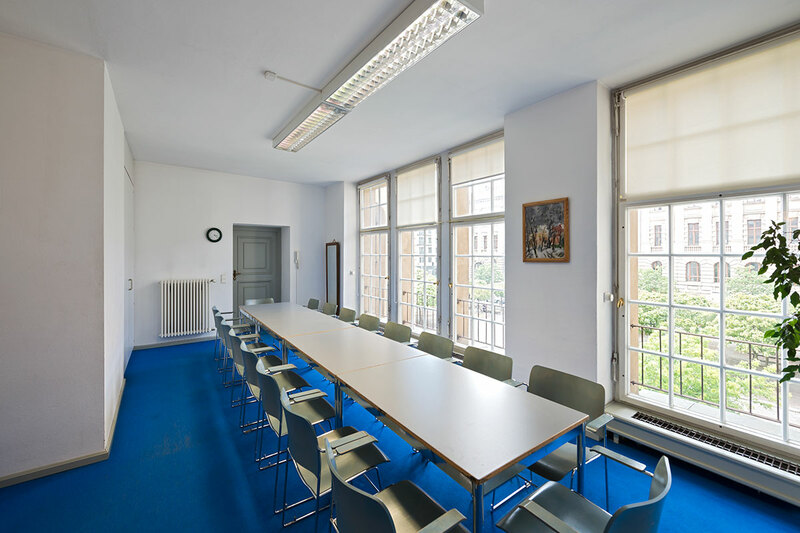 These rooms can be used as separate seminar rooms, VIP areas, or back offices for conferences and conventions.